Abena, my mother, an English sailor raped her on the bridge of the Christ the King, one day in 16** while the ship was sailing toward Barbados. It is from that aggression that I was born. From that act of hatred and scorn. Already we know that the narrator is of mixed race and born into slavery, since the ironically-named Christ the King (another theme!) is obviously a slave ship. Already we know that the narrator’s lineage will be matriarchal (and in French we know that the narrator is a woman; she is née, the feminine form of born.) We know that sexuality and violence will be important. We know that the narrator is conceived between spaces, on the water, not African and not Caribbean, liminal and marginal. Always the other. Before Tituba is ten years old, her mother and adoptive father are killed and she herself is exiled from the plantation. She finds herself in the care of Man Yaya, an African healer and herb-woman, and learns her religion: the healing arts, the respect of every living thing, and the honor of the “invisibles” — the dead, with whom she can communicate. When Man Yaya dies and joins those invisibles, Tituba can scarcely tell the difference. You would have said I wasn’t there, standing right there on the threshhold of the room. They were talking about me, but at the same time they were ignoring me. They were scratching me off the map of human beings. I was a non-being. An invisible. More invisible than the invisibles, because they at least have a power that everyone fears. Tituba, Tituba had no more reality than these women wanted to concede to her. It was atrocious. Tituba’s love for John Indian does worse than expose her to the narrow Puritan religion and to racism, however. The two are sold and sent to America, to a town called Salem, in the ownership of Samuel Parris. Soon, the town is in the grip of witch fever, and Tituba, because of her skill with plants and the color of her skin, is a natural target. Again and again she vows to “grow beak and claws” and take her revenge, but she finds herself unable: how can she make herself kin to the people who torture her? Sundered from her beloved Barbados and even from the ghosts of her ancestors, who cannot cross the sea, Tituba is alone and friendless. Only those who are nearly as persecuted as she is can lend her any support. It seemed to me that I was disappearing completely. I felt that in these trials of the witches of Salem which would make so much ink flow, which would excite the curiosity and the pity of future generations and would appear to all as the most authentic witness of a credulous and barbaric age, my name would only figure as a minor accomplice of no interest. They’d mention here and there “a slave from the Antilles who probably practiced voodoo”. No one would worry about my age or my personality. They would ignore me…. And that future injustice infuriated me! Crueller than death! This book is so strong. Caribbean novels are frequently written “from the other side,” as it were; oral stories being written down, the stories of the oppressed being written as if they were victorious (a bit like Robin Hood or other trickster stories.) Maryse Condé, who is from Guadeloupe, takes on race, gender, religion, the notion of America as land of prosperity, the idea of the victim’s guilt, revenge, sexuality, and many other powerful motifs, and weaves them together in Tituba, one of the most startlingly living characters I’ve read for a long time. Tituba never accepts silence, even when it is counseled to her by those she loves and respects the most. Tituba and I lived in close intimacy for a year. It’s in the course of our interminable conversations that she told me these things, which she never confided to anyone else. This book has that sense of confession, of unburdening, of truth finally told. Find yourself a copy and sit down to listen to Tituba’s story. * all translations are my own, though this book is available translated into English by Richard Philcox. Have you read the translation and does it do justice to the original? From what you’ve written here I would like to read this, but for me it would have to be the Philcox. Our ELR seminars this past term have been on translation and one of the issues that has come up has been the question of the extent to which it should be the style of the original that takes precedent and the extent to which it should be the style of the narrator. Current thinking (although not mine) seems to favour the style of the translator. When I chose one translator over another it is because I trust them to give me a text that comes as close to the original as possible. Where does Philcox fall in relation to this divide? I’m sorry, but I haven’t read the English translation at all, so I can’t speak to it. I would certainly say that I myself believe the role of the translator to be very important, but that that role should be primarily to transmit the style and intent of the author insofar as that’s possible. The translation is excellent (I’ve read both the French and English). Philcox is actually Condé’s husband, and translates all of her work. Sounds like a really interesting book, I’ve read a few books (fiction and non-fiction) about the Salem witch trials so a story from Tituba’s point of view would be really great! I’ve added to the wish list. 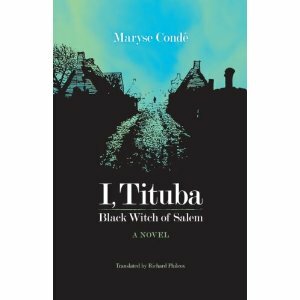 Yes, Conde makes it very clear that Tituba has been silenced over the years and this is her “revenge,” if you will, for that marginalization. Wonderful book! Thank you so much for this review, Jenny! This is one of the books that’s been hovering on the margins of my French TBR list, and I’m excited to know you thought so highly of it. Will have to seek it out & see for myself! I am absolutely sure you’ll like it, Emily. It’s a marvelous book. I actually like a lot of Conde’s stuff. She was a professor where I did my grad work, so I’ve read a few of her things, and they’re all pretty much worth reading. This sounds wonderful! I assume this is THE Tituba from The Crucible? I am so glad you reviewed this, and I hope to find it in English. I like how you describe it as STRONG. Great word. Yes, Aarti, same Tituba. She’s a historical figure about whom we don’t know much, so this is all fiction with a few historical fillips for sauce. It’s really enjoyable. I’m so delighted to see you review this book! I loved it, and used to teach it, and you’ve brought back wonderful memories. ‘Strong’ is exactly the word. I wondered if you’d read this one, litlove! (So glad to see you, by the way!) 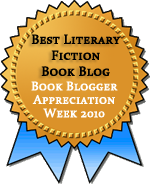 Have you read her other work, Traversee de la mangrove, for instance? I think you’d like it. I’ve always been fascinated by the Salem witch trials and this story of who Tituba was sounds intriguing.